Thank you for signing on as a co-sponsor of the Green New Deal resolutions introduced in Congress by Sen. Ed Markey and Rep. Alexandria Ocasio-Cortez. Showing your support for solutions that act at the scale and ambition of the climate crisis is a critical step towards breaking the fossil fuel industry’s stranglehold on our political system, and we thank you for your bold leadership on this issue. Real climate leadership means taking immediate action to wind down the fossil fuel industry and its influence on our politics, ramping up investment in renewables and a clean energy economy for all, and protecting communities from the impacts of the transition. I’m counting on you to take the No Fossil Fuel Money pledge and put the health of our families, our climate, and our democracy over fossil fuel industry profits. 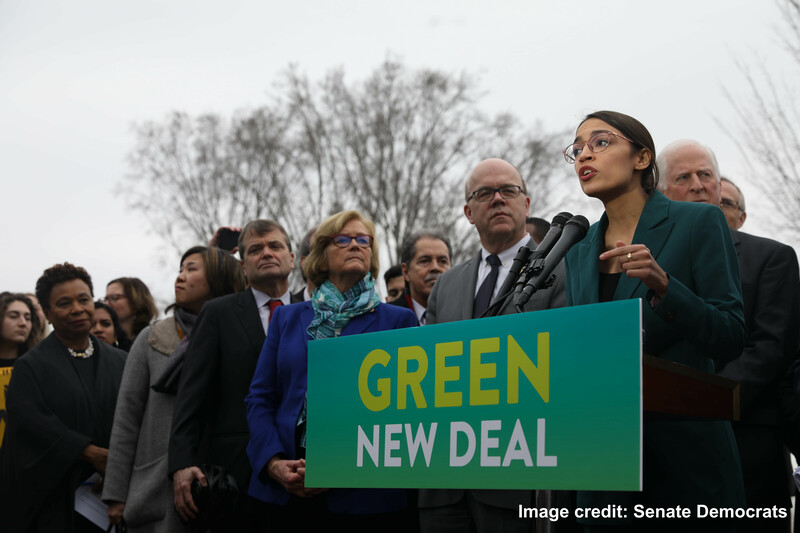 Over 100 members of Congress have officially signed on as co-sponsors of the Green New Deal resolutions introduced in Congress by Sen. Ed Markey and Rep. Alexandria Ocasio-Cortez, but many have not yet signed the No Fossil Fuel Money pledge. If members of Congress who claim to be climate leaders want to seriously tackle climate change, they must show real climate leadership by rejecting the fossil fuel industry's money. We’re in a crucial moment to shine a light on Big Oil’s dirty influence on our political system and usher in a new wave of climate leadership. It is essential that we draw a line in the sand and ensure that all Green New Deal co-sponsors in the Senate reject all contributions from Big Oil, Gas, and Coal. Forty-five current members of Congress have signed the pledge to reject fossil fuel money, including several Presidential contenders. Nationwide, over 1,300 politicians have signed. The Green New Deal resolutions show that huge public momentum is building for true climate leadership and solutions at the scale the crisis demands. But the fossil fuel industry wants to shut us down and drown out our movement with its dirty money. Please note that prefix and additional address information is required on this form only so that it can connect directly with Congressional webforms, which have specific requirements. If you have any questions, email us at info@oilchangeusa.org.